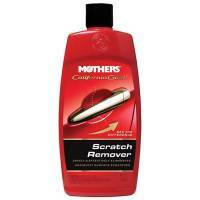 Pit Stop USA features automotive Carpet & Upholstery Cleaners including Mothers® Carpet & Upholstery Cleaner, Mothers® Leather Cleaner, Mothers® Reflections® Advanced Leather Care and more. 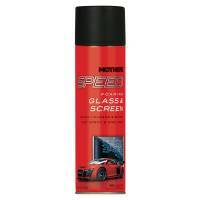 Pit Stop USA offers several automotive Leather Cleaners & Conditioners including Mothers® Leather Cleaner, Mothers® Leather Conditioner, Mothers® Reflections® Advanced Leather Care and more. Check out the Recently Listed Polishing Compounds. 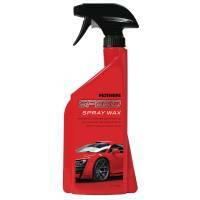 Pit Stop USA offers a variety of automotive protectants including Mothers® Vinyl/Leather/Rubber Care, Mothers® Back-To -Black® Mothers® Leather Conditioner, Mothers® Protectant and more. 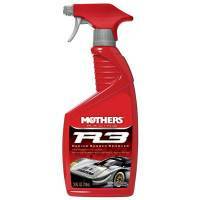 Pit Stop USA carries a variety of automotive Tire & Rubber Care products including Mothers® Back To Black Tire Shine, Mothers® Foaming All Wheel & Tire Cleaner, Mothers® Reflections® Advanced Tire Care and more. 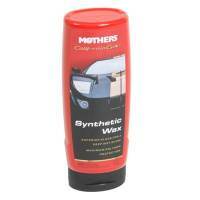 Mothers Polishes-Waxes-Cleaners Speed Spray Wax 24oz. 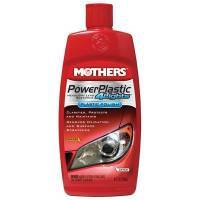 Mothers® Back-To -Black® - 8 oz. 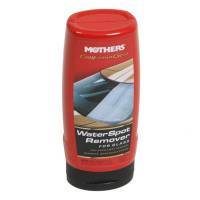 Mothers® Billet Metal Polish - 4 oz. 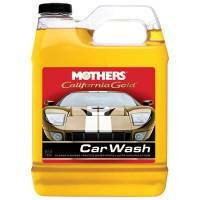 Mothers® California Gold® Car Wash - 16 oz. Pit Stop USA is The Online Motorsports Superstore! 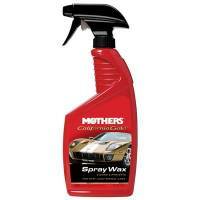 Mothers Polish has been going strong ever since they introduced their first product, Mothers Mag & Aluminum Polish. Mothers Mag & Aluminum Polish was such a hit, that it wasn’t long before customers were asking to do the same for their paint as Mothers had done for their wheels. 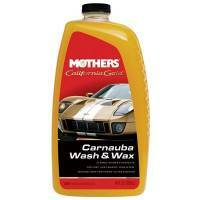 After some extensive testing, the Mothers California Gold Cleaner & Wax formula was born. Just the right balance of ingredients to bring back a shine on faded paint to better than factory original. 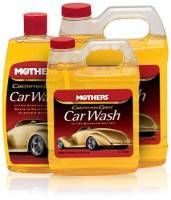 Today, Mothers offers over 70 unique Mothers products. We feature Mothers® Back-To-Black®, Mothers® Billet Metal Polish, Mothers® California Gold® Car Wash, Mothers® California Gold® Carnauba Cleaner Wax, Mothers® California Gold® Clay Bar System, Mothers® California Gold® Pre-Wax Cleaner, Mothers® California Gold® Pure Carnauba Wax , Mothers® California Gold® Sealer & Glaze, Mothers® California Gold® Showtime® Instant Detailer, Mothers® Carpet & Upholstery Cleaner, Mothers® Chrome Polish, Mothers® Foaming All Wheel & Tire Cleaner, Mothers® Leather Cleaner, Mothers® Leather Conditioner, Mothers® Mag & Aluminum Polish, Mothers® Mag & Aluminum Polish, Mothers® Plastic Polish, Mothers® Powerball 4Lights, Mothers® PowerBall 4Paint®, Mothers® PowerBall Mini® With 10” Extension, Mothers® PowerBall®, Mothers® PowerCone®, Mothers® PowerMetal® Polish, Mothers® PowerPolish®, Mothers® PowerWax®, Mothers® Protectant, Mothers® Reflections® Advanced Car Wax, Mothers® Reflections® Advanced Leather Care, Mothers® Tire Care, Mothers® Reflections® Advanced Top Coat, Mothers® Tire & Rubber Cleaner, Mothers® Wheel Mist® Chrome/Wire Wheel Cleaner and more at low everyday prices.